Meet the newest addition to the open hardware Beagle family. Get the powerhouse 1GHz AM335x ARM® Cortex-A8 processor, expanded peripherals, low power consumption and open source software compatibility. 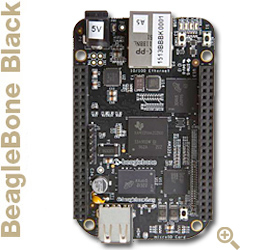 This third-gen Beagle is powered by a 720MHz ARM Cortex-A8 processor and includes power management, microSD card with Angstrom, built-in FTDI-based serial / JTAG and on-chip Ethernet. 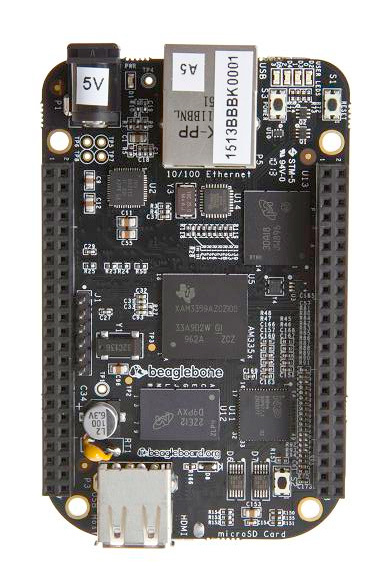 BeagleBoard-xM delivers extra MIPS with a 1GHz ARM Cortex-A8 processor, and memory with 512MB of low-power DDR RAM... plus a suite of peripherals. The original Beagle runs on a 720MHz ARM Cortex-A8 processor and has extensions for increased acceleration, graphics hardware and high-res video. Explore the world of feature-rich capes and other accessories for super-charged functionality. Plug in and go! Visit the cape store to see all options. Last updated by jkridner.wordpress.com on Mon Sep 26 2016 01:30:58 GMT-0000 (UTC).